Sometimes one feels as if one is coming to terms with all the touristic offerings of a city, begins to feel as if they know the city… and then they see something like this park. 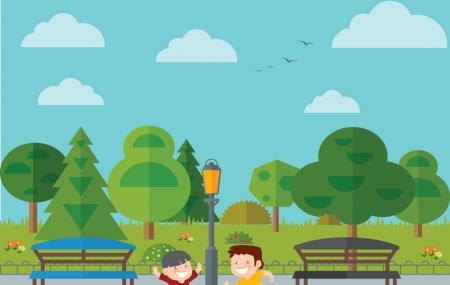 Let’s cover the normal attractions first - an outdoor gym, playground, chess tables, dog area and lawns to picnic on. Then you notice the giant blue crab sculpture. It’s dedicated to the crustaceans that were once the main inhabitants of this region. Every June there is a huge gathering of these grabs that the older locals usually turn out to watch. This park is sister to the Spirit of the Mangrove park closer to the old town area. Es un lugar muy tranquilo para hablar con los amigos o hacer ejercicio.